Please Note: Latino Thursdays isn’t just for Latinos! Okay. I’ll get right to the point. I can’t say for sure what comes to mind when non-Latinos think about the Latino community. Given a lifetime of interactions with people from all walks of life, I can say that the image isn’t very good, not to mention grossly inaccurate. A long-ago war framed that faulty impression and the modern media is an ongoing source of the blurred representations. First, let’s consider a quick history lesson. In 1846, the United States declared war on Mexico. Like the Gulf War of 2003, the official justification for war was different than the actual reason, which was the American ambition to acquire the Mexican lands of modern-day California, Texas, Arizona, New Mexico, and Colorado. As it turned out, the stars and stripes would win the territory as spoils of war. As in all conflicts, politicians demonized the enemy. A congressional committee in 1845 reasoned that “pure white blood, against a mixed and mongrel race, composed of Indians, negroes and Spaniards, degenerated by the mixture of blood and color” assured victory over Mexico. After the war, California legislators passed the Greaser Act of 1855, which defined vagrants as “all persons who are commonly known as ‘Greaser’ or the issue of Spanish and Indian blood.” A stereotype was born. The media has been on the front lines of cementing the myth of the lazy, dirty, thieving, simple-minded, drunkard Mexican. Take a minute to watch an old Hollywood western and you’ll see what I mean. 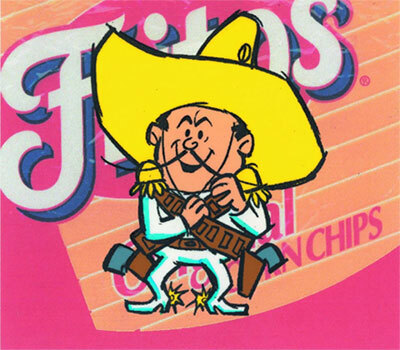 My earliest memory of Mexicans on TV was the Frito Bandido advertising campaign from the late 60s and early 70s. I still remember hanging the black cardboard mustaches that came in each bag above my lip so I could look like a marauding bandido. I looked just like my dad, only he wasn’t a bandit. During the past century, Spanish-speaking people from all over the western hemisphere have come to the United States. Puerto Ricans, Colombians, Dominicans, Salvadorans, others from all points south, and American-born Latinos are all dumped into the same stereotypical bucket. 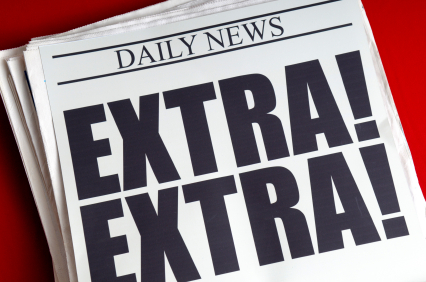 Today, images of Latino drug dealers, gangsters, “illegal” immigrants, and welfare moochers flood the media. The good news is that in recent years we’ve reversed the” lazy” myth as most Americans believe that Latinos have a strong work ethic. The bad news is that belief applies only to those who toil in menial and back-breaking physical work. The white-collar Latino hasn’t even reached the American consciousness yet. Despite a growing population and modest inroads in economic and political influence, generalized Latino images still result in unjust misunderstandings. How do I know this? In more than 25 years working at the highest levels of the corporate, local government, and education worlds, I’ve heard non-Latinos say the darnedest things about us. I don’t believe these off-the-cuff comments are made in malice or with racist intent. Rather, the remarks are the result of over 160 years of misinformation started by a war of conquest. For those who think Latino Thursdays on East Side Eddie Report.com will be a pity party dwelling on past sins and injustices, guess again. A historical review of the distorted picture that is the Latino image provides a foundation to understanding what caused it in the first place. With that knowledge, we can remove some of the barriers and embark on the road to clarification. So what is a true reflection of Latinos? Some of us are smart and some of us aren’t that smart. There’s a small segment that is bad, evil, and criminal, but a vast majority are people striving to improve their lot in life and make the future better for their families. We come in black, white, and every shade in between. Latinos are short and tall, gloomy and optimistic, funny and serious, festive and boring. In short, we’re human beings. By writing stories, commenting on news events, and doing profiles of people I admire, I’ll give my take on the dynamic, complex and misunderstood being that is the American Latino. Be assured that I won’t just highlight the positive. I plan to provide commentary on the good, the bad, and the ugly. I’m a fourth generation Mexican American boy from the east side, so keep in mind that my perspective comes from a small segment of a large and diverse group of people. I hope not be the last word on each post. I want to be challenged by Latinos and non-Latinos alike about what I write so I can learn as much as I can about who we are. That’s what Latino Thursdays is all about. I hope it will be a vehicle to dispel some of the myths and be a source of understanding a community that will represent one-fourth of our nation’s population by century’s end. God sure has a funny way of teaching life lessons. For those who believe that they alone hold the keys to their own destiny, these lessons can be hard, and in some cases, fatal. For me, faith was a merely a concept. By my early 20s, due to self-perceived shortcomings, I deemed myself a complete failure. With an obsession to excel, self-determination, hard work, and a quixotic quest for redemption, I fought my failure demons for the next two decades. At the age of 46, I had almost conquered them, when, on June 7, 2010, I had a massive heart attack. Summer in the Waiting Room: How Faith, Family, and Friends Saved My Life is my story. It’s the inspiring tale of a boy who grew up in a working-class neighborhood, failed miserably at college and fell into despair and hopelessness, met the love of his life, married, finished college, raised a family, and found success in business and public office. It’s also the story of a man who vowed never to fail again and worked tirelessly to redeem himself, only to find true redemption, while in a state of complete helplessness in the ICU, through faith in God, and the love and support of family, and friends. For the past 26 weeks, I’ve posted excerpts of the story. I hope you’ve enjoyed reading it so far. Summer will take a hiatus until August 6th. This will give you a chance to catch up or read installments you missed. Each excerpt can be found by clicking on the “Summer in the Waiting Room” tag to the right of this page. The Prologue uses the Giant Dipper, a 1920s era roller coaster at the Santa Cruz beach and Boardwalk in Santa Cruz, California, as a metaphor for the first 46 years of my life. Chapter 1 chronicles my life growing up in the working-class east San Jose neighborhood at 48 Viewmont Avenue. This chapter sets the foundation for the values I learned from my parents and follows my idyllic childhood through my failure at college, and subsequent period of drinking and dead end jobs. Chapter 2 introduces my future wife Sandra and her family, a loyal and tightly-knit unit. This chapter describes our long courtship, marriage, and starting a family. It also recounts my efforts to return to college, graduate, and start my journey toward redemption of my college failure. Chapter 3 follows my obsessive quest for self-redemption following college graduation. For 16 years, I worked around the clock seeking success and recognition as an entry-level political aide, corporate manager, director, and vice president, political chief-of-staff, and high school trustee. 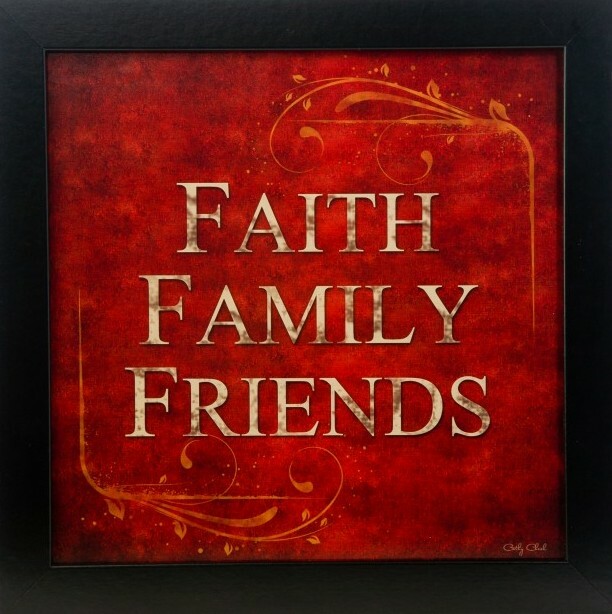 Blogger’s note: The following passage is the final installment of Chapter 3: “Redemption” from my manuscript of Summer in the Waiting Room: How Faith, Family, and Friends Saved My Life. ” Summer in the Waiting Room will take a three-week hiatus and resume on Wednesday, July 8th. My professional career and political prospects were progressing well in 2008. I had the privilege of attending the Democratic National Convention in Denver, Colorado, as a Comcast executive and witnessed history when Senator Barrack Obama accepted the nomination of his party for president of the United States. The general election of 2008 would also be the testing ground for my potential run at higher office. I was an incumbent school board member who had an admirable, if not distinguished, record on the school board running for election to keep the seat to which I had been appointed. I had secured the endorsement of the teacher’s union, my colleagues on the board, the San Jose Mercury News, and nearly every politician who served residents in San Jose. I also amassed more campaign funds than the other candidate. With this profile, winning election seemed to be assured. There was one problem. My opponent was a former longtime trustee who had name recognition as a school board member. When the votes were counted on election night, November 4, 2008, Barrack Obama became the first black president in the history of the United States, and I had I lost again. Over the course of twelve years, I had attempted to win election to public office four times and earned the trust of financial supporters and volunteers, but emerged with no victories. My political career was in tatters. That same election, a longtime friend, George Shirakawa, ran for and was elected to the county board of supervisors. Right after his election, he asked me to consider leaving Comcast to join his team as chief of staff. We made a great team on the school board and George persuaded me that we could make a big difference working together at Santa Clara County. I would have to take a large pay cut, but I would be home every night and would not have to travel across the nation. Even though I was dejected by the results of my election, I was looking forward to a new venture helping George assemble his staff and leading a team that could make a positive impact in the community. Also, the day after Election Day, the new president of the school board invited me to breakfast and encouraged me to apply for the appointment of the seat vacated by George as a result of his election to the county board of supervisors. Demoralized, I couldn’t imagine putting myself through that pain again. But the pain of failure cut deeper, and after a long talk with Sandra and some personal soul-searching. I accepted the challenge and was reappointed to the board of trustees two months later. I was busy at the start of 2009 setting up the supervisor’s office and seeking opportunities to be an effective school board trustee. The pace at the county board of supervisors was slow compared to the hustle of the corporate world, so I added another major project to my plate. I was part of a group that started a leadership academy to help professional Latinos develop community leadership skills. It was going to be a busy schedule, but I didn’t have to travel anymore. I would be able to spend time with my family and sleep in my own bed every night. 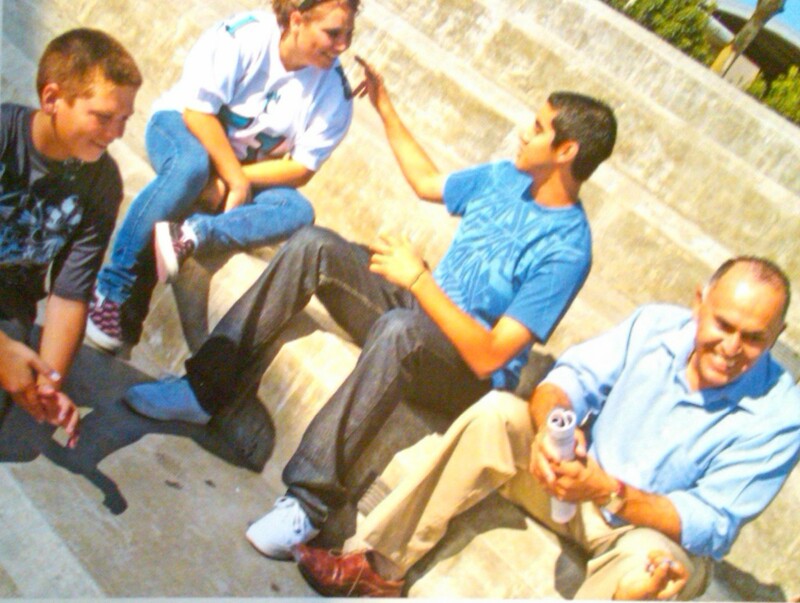 On the school board, the opportunity to make my mark came immediately. Before I began my second appointed tenure, the board unanimously voted to close a budget shortfall by eliminating after-school sports to the outrage of the community. The final decision would be made later in the spring when I was back on the board. I believed deeply in the value of extracurricular athletics as it had been a great experience for me in high school. 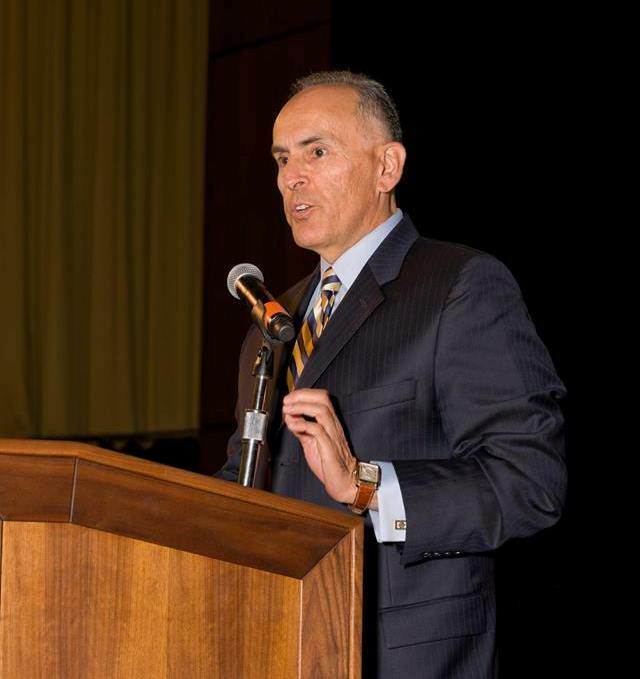 Despite vigorous opposition by the teachers union, I supported student-athletes, parents, and the community by hosting town hall meetings, writing an op-ed article in the newspaper, and meeting with my colleagues and other influential people in the community to persuade them to save sports. In late May 2009, the board voted 4-1 to maintain the after-school sports program. I had the momentum I needed to position myself for a strong election campaign to earn my appointed seat in 2010. 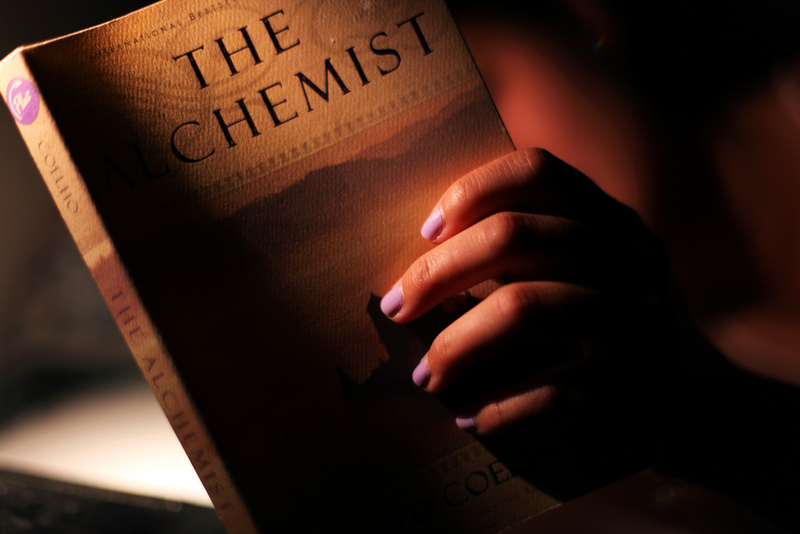 If you haven’t read The Alchemist, read it as soon as you get a chance. It’s the story about a boy who has a dream about buried treasure. A wise man tells him to follow his dream, so the boy sets out on the long journey from his home in Spain to the find his fortune. Along the way, he meets good and bad people and experiences success and great loss. Once he arrives at his destination, the boy realizes that the treasure was the journey itself. What fascinated me about the story was how the boy immersed himself in what was happening to him at any given moment. While his ultimate goal was realizing his dream, he didn’t let that get in the way of experiencing the journey one moment at a time. For most of my life, this concept has been totally foreign to me. I’ve always lived, not in the present, but analyzing past events to create a better future. I was always a few steps ahead of myself. Unlike the boy in The Alchemist, I spent most of my life preparing and planning for future success and happiness. In the process, I didn’t fully experience the joy and sadness life had to offer. A health crisis four years ago forced me to live one day at a time. Shortly after recovering, a good friend recommended that I read Paolo Coelho’s masterful fable. I found the tale to be profound, yet perplexing. Although the meaning of the story resonates with me, I still struggle to truly understand the concept of living in the present. Like most people, I worry about the mortgage, paying for my daughters’ education, and funding retirement. Voice-mail, e-mail, texts, and social media are always there to distract me from the present moment. Despite these distractions, I now try to live one day at a time. Every once I awhile, I’m able live in the here and now. For me, it’s different and kind of strange, but it’s fulfilling. I better understand what it means to be alive. As I write, I hear birds singing outside my window, see trees swaying in the wind, and smell the freshness of morning through an open door. They’ve always been there, I just didn’t know it. I’m reminded that when I concentrate on the present, I appreciate the sights, sounds, and smells of life. I think everyone should give it a try. 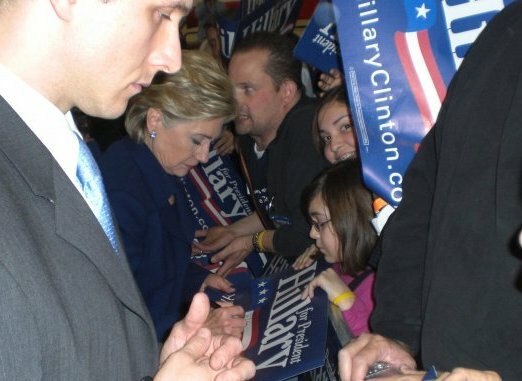 Marisa and Erica get Sen. Hillary Clinton’s autograph at a 2008 rally in San Jose. That same fall, I applied for an appointment to an open seat on the high school board and worked hard to get the votes needed to ensure victory. After three elections losses, I finally became a public policymaker. I shared my story with students in the economically and ethnically diverse district that included my alma mater to inspire and encourage them to work hard, dream, persevere and believe in second chances. I was working around the clock with my dual duties as a Comcast executive and school board trustee. On one occasion the two duties intertwined when I was on the east coast and airlines were cancelling and delaying flights due to bad weather. I planned to present a new policy proposal for the school board to discuss that night. Originally scheduled to take an early morning flight, I was scheduled to arrive in time for the 4:00 PM executive session and 6:00 PM public meeting where I would introduce my proposal. My flight from Ronald Reagan National Airport in Washington, D.C. to San Jose was canceled and my desperate attempts to secure another flight, even on any other airline, were unsuccessful. With time running out, I took a taxi from Reagan Airport to Dulles International Airport. During the 35-minute drive, I frantically called airlines in search of a flight that would get me home in time for the vote. Finally, at Dulles, I was able to secure the last seat on a flight that was scheduled to connect in Las Vegas for the final leg to San Jose. The flight would arrive around 7:00 PM, so before departing from Dulles, I called the board president and requested a delay in the proposal until I arrived. Sitting in the middle seat of a cramped plane only added to my anxiety about missing an opportunity. The connecting flight in Las Vegas was also delayed, but I was determined to get to the school board meeting. Once the plane landed in San Jose, I drove directly from the airport to the board chambers to introduce my proposal. It was almost 9:00 PM when the board discussed the proposal and shortly thereafter approved it unanimously. Although I enjoyed the adventure and adrenalin rush both high-profile positions offered to me, I hadn’t realized that I was neglecting the diversions that had balanced my life. I no longer buried my nose into a good biography or followed the NCCA basketball tournament to its inevitable exciting conclusion. I couldn’t remember the last San Francisco Giants game I attended that didn’t include a business and relationship-building component or a movie that I could enjoy with Sandra and the girls. Most apparent, I wasn’t spending time just hanging out with the larger Peralta family. Sandra, her parents and sisters, and we husbands had always been close. We baptized each other’s children and gathered frequently at the Peralta’s house for no other reason than to be together. There were the weddings, the family parties, the college graduations, Christmas, Thanksgiving, and News Year’s Eve that also kept the bonds strong. I had rationalized that I was still fully engaged through the holidays and major family events, but in reality, my career and my public life had taken center stage. What I was missing were the bull sessions and drinking beer with Mr. Peralta around the barbecue pit on a lazy Saturday afternoon, the “honey-do” home improvement projects and customary beer drinking afterwards with Eddie, the ballgames with Pancho, and the conversations about business and politics with Miguel. I wasn’t keeping up with the family stories and gossip I so enjoyed with Mrs. Peralta, Valerie, Kimberley, and Shelley. My dizzying work and school trustee schedule kept me occupied. The Comcast executive salary provided a lifestyle that I could never have imagined. I was able to take my family on vacations to the east coast, Hawaii, and Puerto Vallarta. We even took mini-trips to Santa Fe and the Grand Canyon, and weekenders in San Francisco and Monterey. I was speechless when my father-in-law proudly and emotionally walked onto the grounds of the White House on a tour I had arranged. When Senator Hillary Clinton visited San Jose for a rally during her historic presidential campaign, my family and I had access to seats next to the stage. I had reasoned that these opportunities made up for missing day-to-day family interactions. I had reached the apex of my comeback and the college failure demons had been destroyed. I was an executive for a large corporation who traveled throughout the country to represent the company’s interests and I was a trustee for a large school district. The political bug had bitten me again and I was poised to take it as far as I could. With a small group of supporters, I started to map out a strategy to prepare myself to be a future candidate for higher office.